Please read these Terms and Conditions before using this Website (defined below). By using this Website, you signify your assent to these Terms and Conditions. If you do not agree to all of these Terms and Conditions, do not use or access this Website. MEDICAL ADVICE DISCLAIMER: The text, graphics, audio, video, illustrations, images and other information contained in this Website, including, without limitation, any information or other content uploaded, posted or otherwise transmitted by or exchanged between users in Community Areas (as defined below) (collectively, the "Content") are for informational purposes only. The Content is not intended to be, nor is it, a substitute for professional medical advice, diagnosis, or treatment. Always seek the advice of your physician with any questions you may have regarding a medical condition, and never disregard professional medical advice or delay in seeking it because of something you may have read or seen on this Website. We do not recommend or endorse any specific Providers (as defined below), tests, products, procedures, opinions or other Content that may be included on this Website. Reliance on any information appearing on this Website, whether provided by Provider Search, Providers or other users or third parties, is strictly at your own risk. The Content may include health or medical related information that is sexually explicit. If you find this information offensive, you may not want to use this Website. If you feel there is a medical emergency, call your doctor or 911 immediately. If feel yourself or someone else is threatened or otherwise in danger in any way, contact your local police immediately. 1. MINIMUM AGE TO USE AND ACCESS THIS WEBSITE. You must be at least 18 years of age to use and access this Website. This Website is not intended for use by, nor designed to attract, persons under the age of 18. 2. USE OF PROVIDER DIRECTORY. This Website includes a directory of physicians, therapists, agencies, providers, clinics and other medical and non-medical professionals (each a "Provider" and collectively, "Providers") practicing in various fields, which may be browsed and searched based upon geographic and other criteria (the "Directory"). The Directory and listings contained therein are presented for informational purposes only, and a Provider's presence in the Directory does not in any way constitute a representation, warranty or endorsement by Provider Search as to the competency or qualifications of such Provider, nor of the quality, safety or efficacy of the services they provide. Provider Search does not undertake any investigation into the background or qualifications of the Providers listed in the Directory. All information appearing in the Directory is prepared and submitted by the Provider, and Provider Search undertakes no obligation to validate or confirm the accuracy thereof. Provider Search, this Website and the Directory are not a referral source, and by using this Website and the Directory you agree that you are solely responsible for undertaking your own independent investigation of a Provider's background and the services they provide before engaging them. 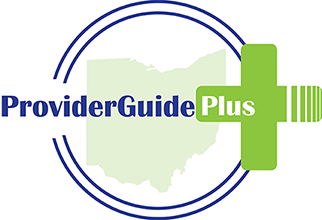 Provider Search does not recommend or endorse any specific Providers, tests, services, products, procedures, opinions or other Content that may be found on this Website or in the Directory. Your contact with and engagement of a Provider creates a relationship solely between you and the Provider, and not between Provider Search and you, the Provider or any other party. The release of any Personal Confidential Information (as defined below) by you to a Provider is solely at your own risk. Do not under any circumstances transmit Personal Confidential Information to Provider Search. 3. ACCESS TO AND COMMUNICATION WITHIN COMMUNITY AREAS. This Website may include community areas and functionality including, without limitation, Provider review areas where users may submit communications (collectively, "Community Areas"). If you use a Community Area, you are solely responsible for you own communications and any consequences or reliance resulting therefrom. Any opinions, advice, statements, services, offers or other information uploaded, posted, transmitted or exchanged by users in Community Areas are solely those of the respective author(s), and not of Provider Search. You agree that you will not upload, post or transmit any communication or information to or within Community Areas that includes or constitutes personal or confidential information of any kind with respect to any person, including, without limitation, any information that meets the definition of "Individually Identifiable Health Information" under 45 C.F.R. § 160.103, without regard to whether Provider Search or any other party is considered a "Covered Entity" under HIPAA and its implementing regulations(collectively, "Personal Confidential Information").By uploading, posting or transmitting information to or within a Community Area you agree that such information is non-confidential under all circumstances and for all purposes, and automatically grant Provider Search a royalty-free, perpetual, irrevocable, world-wide nonexclusive license to use, reproduce, create derivative works from, modify, publish, edit, translate, distribute, perform and display such information in any medium, file, format or forum now known or hereafter developed. Provider Search may freely assign, license and/or sublicense the foregoing rights without prior or subsequent consent or notice. xiii. Engaging in any other conduct that restricts or inhibits any other user from using or enjoying the Community Areas or this Website, or which, in the judgment of Provider Search, exposes Provider Search or any of its users, advertisers, customers or suppliers to any liability or detriment of any type. 4. MONITORING OF COMMUNITY AREAS AND CONTENT. Provider Search undertakes no obligation to monitor, moderate or otherwise restrict any Content available on this Website, including, without limitation, information uploaded, posted, transmitted or otherwise exchanged by or between users in Community Areas. By using this Website you agree that it would be impossible for Provider Search to monitor the accuracy or reliability of all the Content available through this Website. Without in any way limiting the scope and generality of the foregoing, Provider Search reserves the right to modify or remove any Content at any time, without cause or notice. Any opinions, advice, statements, services, offers or other Content expressed or made available by users or other third parties, are strictly those of the respective author(s) and not of Provider Search. Provider Search neither endorses nor is responsible for the accuracy or reliability of any opinions, advice, statements, services, offers or other Content uploaded, posted or transmitted by users in Community Areas or elsewhere on this Website. 5. COLLECTION AND USE OF INFORMATION BY PROVIDER SEARCH; SUBMISSIONS TO PROVIDER SEARCH BY USERS. While you may use and access some of the functionality of this Website without registering, many of the tools, applications and functionality of this Website require registration. In registering as an ordinary user of this Website you may be asked or required to provide certain personal information, including, without limitation, your name, address, email address and telephone number. Providers may be asked for additional information as part of the registration process in order to assist in creating their listing. We use this information in connection with the administration of the Website. Provider Search will not knowingly collect any personal information from a person under the age of 18.You also have the ability to send and transmit information to Provider Search via our physical mailing address, as well as electronically through the "Support" page, or other pages that may be made available in the future. You agree that you will not send or transmit any information to Provider Search that constitutes personal confidential information with respect to yourself or any other party, or that is otherwise confidential or violates the rights of any party in any way. By sending or transmitting any information to Provider Search you agree that such information is non-confidential in all respects and for all purposes. Notwithstanding anything in these Terms and Conditions to the contrary, We agree that your account and registration information is solely for the purpose of Provider Search in its capacity as the administrator of the Website and your email address will only be used if you request a response from a Provider or as may be necessary to administer the Website. Furthermore, your email address will not be sold to third parties, or used to send out unsolicited messages. 6. INDEMNIFICATION. You agree to indemnify, defend and hold harmless Provider Search and its subsidiaries, affiliates, officers, directors, employees, agents, attorneys, independent contractors, licensors, experts, advisors, vendors, and suppliers, and each of their respective successors and assigns (collectively, the "Indemnified Persons"), from and against all claims, damages, costs, expenses and other liabilities, including attorney's fees and expenses, arising out of or related to: (a) your access to and use of this Website (including, without limitation, the Community Areas), (b) your violation or breach of any of these Terms and Conditions, and (c) any dispute you have with any other user. Provider Search reserves the right to participate in, control and direct its own defense and to require payment or reimbursement of the costs, expenses and fees (including, without limitation, attorney's fees) incurred in connection therewith. THIS WEBSITE AND THE CONTENT DO NOT CONSTITUTE MEDICAL ADVICE AND IS PRESENTED SOLELY FOR INFORMATIONAL PURPOSES, AND SHOULD NOT BE CONSIDERED, OR USED AS A SUBSTITUTE FOR, MEDICAL ADVICE, DIAGNOSIS OR TREATMENT. YOU ARE ADVISED TO ALWAYS SEEK THE ADVICE OF YOUR PHYSICIAN WITH ANY QUESTIONS REGARDING PERSONAL HEALTH OR MEDICAL CONDITIONS. NEVER DISREGARD, AVOID OR DELAY IN OBTAINING MEDICAL ADVICE OR TREATMENT BECAUSE OF SOMETHING YOU HAVE SEEN OR READ ON THIS WEBSITE. If you feel there is a medical emergency, call your PHYSICIAN or 911 immediately. If feel yourself or someone else is threatened or otherwise in danger in any way, contact your local police IMMEDIATELY. PROVIDER SEARCH DOES NOT RECOMMEND OR ENDORSE ANY SPECIFIC PROVIDERS, TESTS, PRODUCTS, PROCEDURES, OPINIONS, OR OTHER CONTENT THAT MAY BE FOUND ON THIS WEBSITE. RELIANCE ON ANY CONTENT IS SOLELY AT YOUR OWN RISK.THIS WEBSITE AND THE CONTENT ARE PROVIDED "AS-IS" AND "AS AVAILABLE". PROVIDER SEARCH CANNOT AND DOES NOT GUARANTEE OR WARRANT ANY CONTENT AGAINST ERRORS, OMISSIONS, DELAYS, INTERRUPTIONS OR LOSSES, INCLUDING LOSS OF DATA. USERS ARE RESPONSIBLE FOR MAINTAINING AN EXTERNAL MEANS FOR THE RECONSTRUCTION OF ANY LOST DATA. THE CONTENT FOUND ON THIS WEBSITE IS INTENDED FOR GENERAL CONSUMER INFORMATIONAL PURPOSES AND ANY ACCESS TO THIS WEBSITE IS VOLUNTARY AND SOLEY AT YOUR OWN RISK. TO THE MAXIMUM EXTENT PERMITTED BY LAW, PROVIDER SEARCH MAKES NO REPRESENTATIONS, WARRANTIES OR CONDITIONS OF ANY KIND, EXPRESS OR IMPLIED, AS TO THE OPERATION OF THIS WEBSITE OR THE CONTENT, NOR THAT YOUR USE OF THIS WEBSITE WILL BE UNINTERRUPTED, ERROR-FREE, VIRUS-FREE, SECURE, OR TIMELY. TO THE MAXIMUM EXTENT PERMITTED BY LAW, PROVIDER SEARCH EXPRESSLY DISCLAIMS ALL REPRESENTATIONS, WARRANTIES OR CONDITIONS OF ANY KIND, WHETHER EXPRESSED OR IMPLIED, INCLUDING THE IMPLIED REPRESENTATIONS, WARRANTIES OR CONDITIONS OF MERCHANTABILITY, FITNESS FOR A PARTICULAR PURPOSE, TITLE, NON-INFRINGEMENT AND THOSE ARISING FROM A COURSE OF DEALING, TRADE, USAGE OR PERFORMANCE. IF YOUR USE OF THIS WEBSITE RESULTS IN THE NEED FOR SERVICING OR REPLACING PROPERTY, MATERIAL, EQUIPMENT OR DATA, WE ARE NOT RESPONSIBLE FOR ANY RESULTING COSTS OR DAMAGES. 8. EXCLUSION OR DAMAGES; LIMITATION OF LIABILITY. TO THE MAXIMUM EXTENT PERMITTED BY LAW, NONE OF THE INDEMNIFIED PERSONS ARE LIABLE TO YOU OR ANY OTHER PERSON FOR INDIRECT, INCIDENTAL, PUNITIVE, EXEMPLARY, SPECIAL, STATUTORY, OR CONSEQUENTIAL DAMAGES, LOST PROFITS, LOST REVENUE, LOSS OF DATA, LOSS OF PRIVACY, LOSS OF GOODWILL OR ANY OTHER LOSSES, EVEN IF ADVISED OF THE POSSIBILITY OF SUCH DAMAGES AND EVEN IN THE EVENT OF FAULT, TORT (INCLUDING NEGLIGENCE) OR STRICT OR PRODUCT LIABILITY. 9. OWNERSHIP AND DISTRIBUTION OF CONTENT. Provider Search reserves all rights in and to the Website, and you are prohibited from distributing, collecting, re-packaging, "scraping" or otherwise using the Website or the Content for any purpose other than browsing the Website and using its functionality for the intended purpose thereof, as further described on the "About" page, incorporated herein by this reference. i. No Agency; No Third Party Beneficiaries. These Terms and Conditions do not create any agency, partnership, joint venture, employee-employer or franchisor-franchisee relationship. Except for the Indemnified Persons, there are no third party beneficiaries of these Terms and Conditions. iii. Severance. If any part of these Terms and Conditions is held by a court of competent jurisdiction to be invalid or unenforceable, the invalid or unenforceable part will be given effect to the greatest extent possible and the remainder will remain in full force and effect, provided that the allocation of risks described in these Terms and Conditions is given effect to the fullest extent possible. iv. Assignment. These Terms and Conditions are personal to you and you may not transfer, assign or delegate them to anyone without the express written permission of Provider Search. Any attempt by you to assign, transfer or delegate these Terms and Conditions without the express written permission of Provider Search will be null and void. v. Choice of Law and Venue. The internal laws of the state of Arizona, without regard to its conflict of laws principles, shall govern the validity of these Terms and Conditions, the construction, interpretation and enforcement hereof. Any disputes arising from or in connection with these Terms and Conditions shall be settled exclusively in a court of competent jurisdiction situated in Maricopa County, Arizona, and you hereby waive any arguments of forum non conveniens. vi. Limitations on Actions. Any action concerning any dispute with respect to these Terms and Conditions or your use of this Website must be commenced within one year after the cause of the dispute arises, or the cause of action is barred. vii. Entire Agreement. These Terms and Conditions comprise the entire agreement between you and Provider Search with respect to the access and use of this Website. viii. No Waiver. The failure of any party to exercise or enforce any right or provision of these Terms and Conditions, including any failure to act with respect to a breach, will not constitute a waiver of such right or provision or that party's right to act with respect to subsequent or similar breaches.